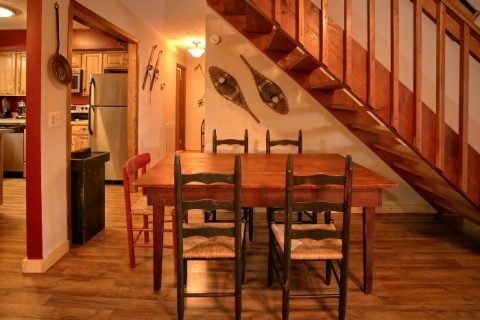 "Alpine Retreat," a Wears Valley cabin with 2 bedrooms that sleeps up to 6 guests, greets guests with an interior decorated in the fashion of a ski lodge that provides enough space for your group to truly enjoy their stay. 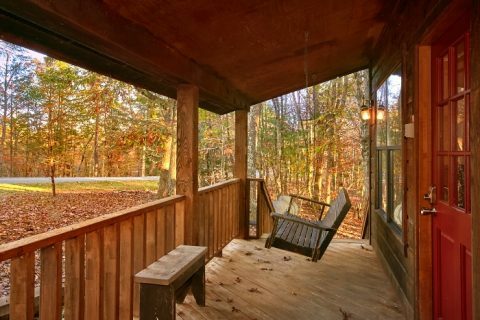 With a beautiful spot in a Smoky Mountain forest and a nice yard area, children especially enjoy this cabin that gives them plenty of space to enjoy the great outdoors. 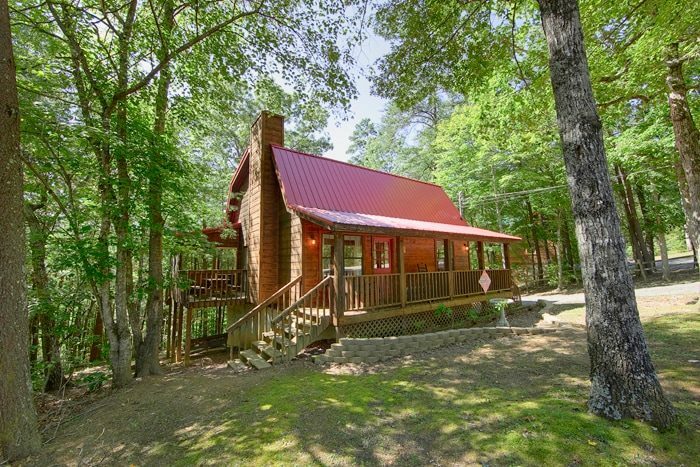 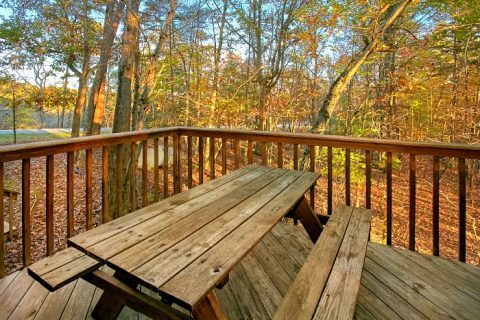 Better yet, this cabin in Wears Valley has recently been updated with new kitchen cabinets, stainless steel appliances, and countertops. 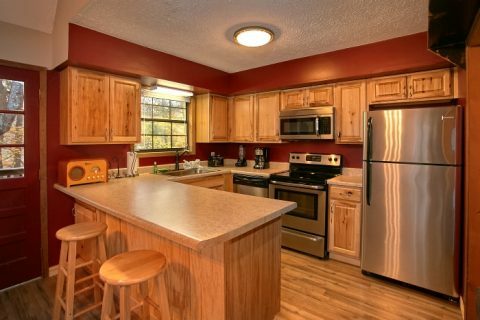 Other improvements include new flooring and redesigned bathroom. 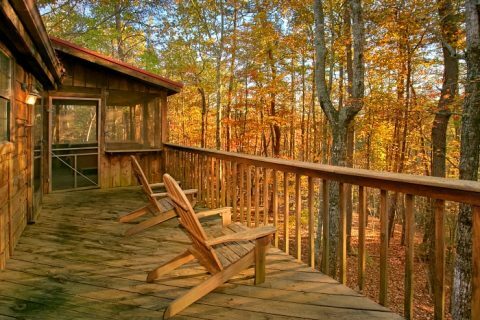 Located in a tranquil forest setting, your cabin in Wears Valley allows you to bring the entire family to the Smoky Mountains. 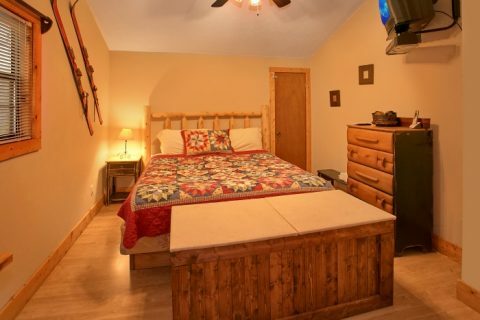 "Alpine Retreat" provides plenty of space for everyone to enjoy the mountain air, whether you want to enjoy a picnic at the picnic table or simply let the moments pass by relaxing in the covered hot tub. 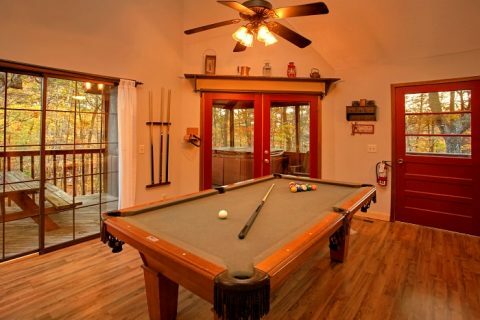 Inside, family and friends can enjoy games of pool at the cabin. 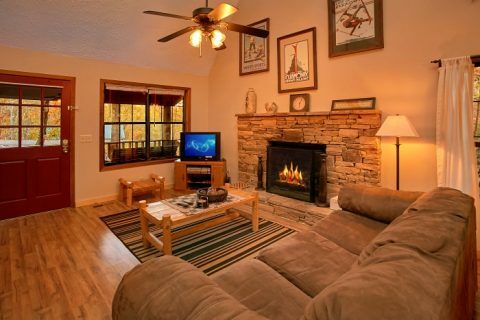 In the colder months, add the pleasure of the warmth and orange light coming from gas log fireplace. 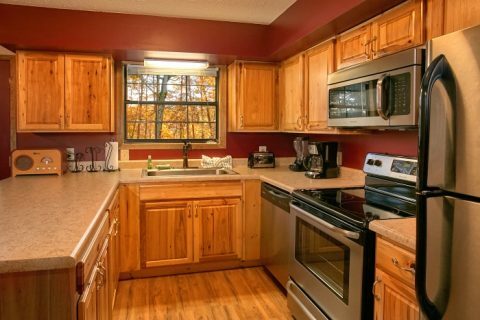 "Alpine Retreat's" fully equipped kitchen and outdoor barbecue grill are perfect for those anytime meals and snacks at your convenience. 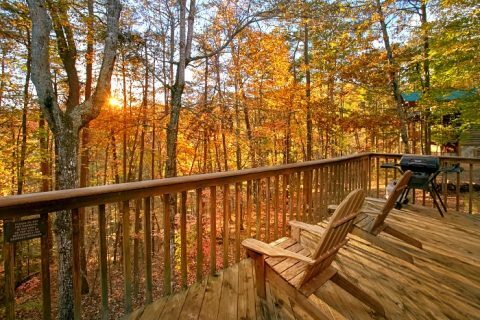 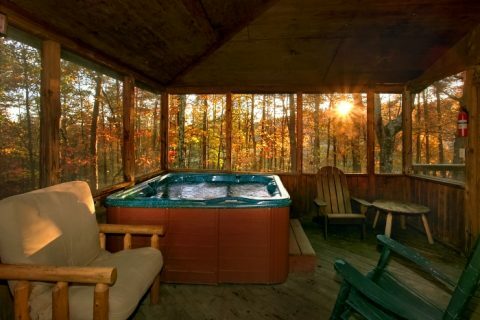 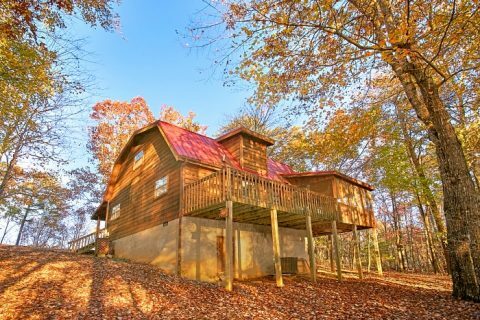 "Alpine Retreat" is just right for that long awaited romantic getaway or family vacation to the Tennessee Smoky Mountains. 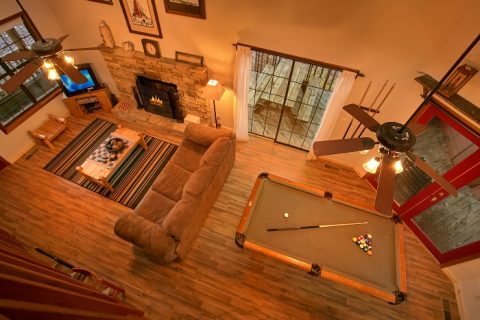 Come experience the adventures that make lifetime memories! 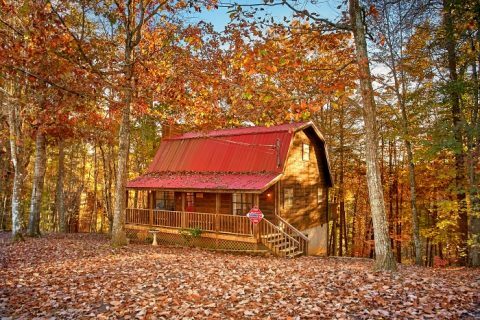 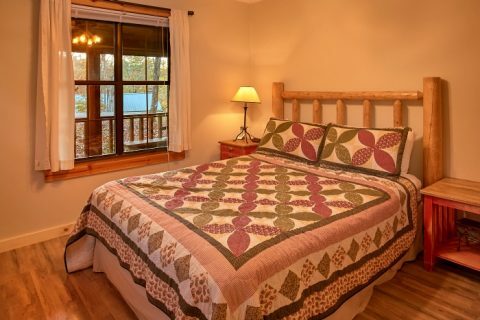 Book your Wears Valley cabin rental ONLINE with Cabins USA Gatlinburg and get immediate SAVINGS!